While the Trust has long supported these preservation efforts at Pullman, we are announcing today that we have named it our newest National Treasure. 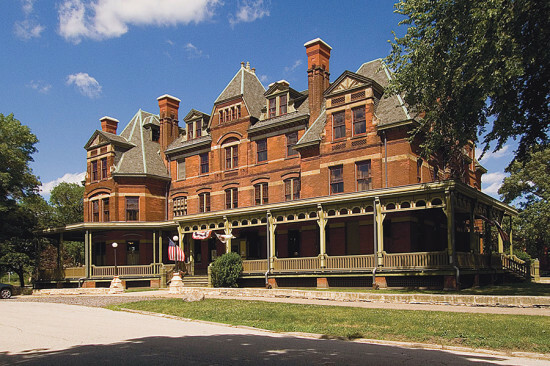 National Treasures are a portfolio of highly-significant historic places throughout the country where the National Trust makes a long-term commitment to finding a preservation solution. Working with the National Parks Conservation Association and many other partners, the Trust is pledging to stay involved until Pullman receives the recognition it so richly deserves. George Pullman train-car empire birthed the planned industrial town that bears his name during the 1880s. After Pullman died in 1897, the city of Chicago annexed the town. It averted demolition a few times during the 20th century, eventually gaining National, State and City landmark status in 1972. National Park status could bestow additional protections and make it easier for preservation groups in the area to get funding and assistance, in addition to a boost in tourism.